The decisive turning point of the problem has already taken place in stage 2, major disruptions are no longer expected. The course of things calms down. The number of variations per move is again moderate, similar to stage 1. In this final phase, it are more technical aspects that should be considered, as feasible changes in the order of moves - which remain without effect on the final result, or the occasional minor pitfall - but which taken by itself usually costs only a few, non decisive, points. 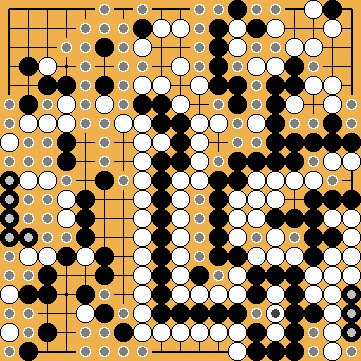 Towards the end, after the relevant bordering plays have been made, White can still choose between two main variations - but without effectively affecting the outcome of the game.